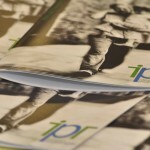 IPR has built on its strengths over the last year. We have supported more people, achieved improved outcomes and consolidated our funding. These achievements have come about through the commitment of a great team of staff and my fellow trustees. 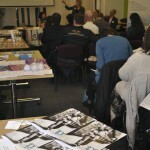 Over the year we assisted over 2,500 clients; around 70% identified as being disabled, many with mental health issues. The last 12 months have marked a period of consolidation for IPR, and we now have our grant funding from Islington Council confirmed until March 2020, which enables us to plan for the future. We have secured 2 year continuation funding from Trust for London to October 2018 for the Access + project, working with BAMER community communities. We have also been able to secure funding from a number of other charitable trusts for both our Disability Focus project, and work with carers. Funding from the Big Lottery Local Sustainability Fund has enabled us to devote additional resources towards ensuring our sustainability. At the same time we have continued to provide a high quality service across a number of community venues with good outcomes and a high level of client satisfaction. Clearly our aims for the forthcoming year are to maintain and improve the quality of our activities. Demand for our services continues to grow, related to both ongoing welfare reforms and the current economic climate. 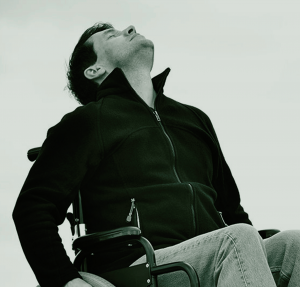 Many of our beneficiaries have been adversely affected by recent changes in the welfare system. 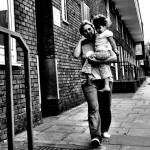 The new Benefit Cap means several hundred Islington residents are facing difficulties. Universal Credit is being introduced, replacing many benefits for those of working age, and presenting challenges. 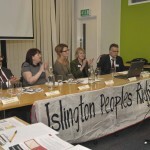 Having become a trustee of IPR in 2011 and the Chair for the last two years, I am now standing down as Chair. The role has been hugely fulfilling, and it has been great to see the organisation develop from strength to strength, despite the challenging funding environment. This has been due to our dedicated staff, trustees, volunteers, funders and supporters, and I feel confident for IPR’s future and feel that we can look positively to 2017 and beyond. IPR has had another successful year providing independent specialist advice and casework in relation to welfare benefits and debt. 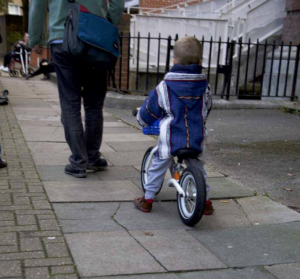 In 2013-2014 we assisted over disadvantaged 2,500 clients, in and around Islington. Around 70% were disabled, many with mental health issues. We provided support and representation on key welfare benefits matters, notably related to Disability Living Allowance (DLA), and Employment Support Allowance (ESA), and were involved in over 100 tribunal appeals. Many of our clients are affected by welfare reform, and struggling with new policies such as conditionality and sanctions. Our caseworkers have kept up with the fast pace of change and continued to offer an excellent quality of service; overall IPR’s success rate at tribunals was over 90%, and over 95% of clients confirmed their satisfaction with the IPR service, and that they would recommend us. By maximising the incomes of our clients we were able to bring over £1.2 million into Islington in 2013. IPR has finished the year in a healthy financial position, having successfully secured some new sources of funding. These include a substantial grant from Trust for London, with which we are now launching Access+ to strengthen welfare benefits and debt advice services for BME and refugee community organisations in Islington. 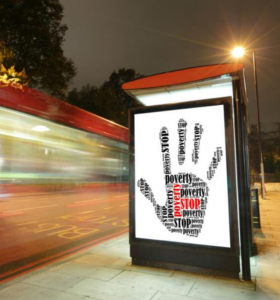 Late in 2013, we began the three-year Advance project that assists ex-offenders with drug and alcohol issues, in relation to welfare rights and debt issues, funded by City Bridge Trust. We continue to deliver specialist debt advice services at Holloway Prison, and at Pentonville Prison, the former funded by Working Links, the latter by the prison service. Despite this diversification, Islington Council remains our largest funder, providing our core grant and funding the contract specifically for our outreach services at community mental health venues. We have very much appreciated the Council’s understanding of the importance of independent advice services, and its continued financial support for IPR. Our current grant runs until April 2015, and we know that the local authority faces many future financial challenges of its own. Nevertheless, we hope the Council will continue to provide significant core grant funding to IPR. We work closely with our partners in Islington Advice Alliance, Islington Law Centre and Islington CAB, which ensures Islington residents can access all areas of advice. Currently funding from the Big Lottery’s Advice Services Transition Fund, is enabling much collaborative work under the banner of “Advising Islington Together”. I very much enjoyed chairing the launch event for this new initiative back in February, which brought together over 120 people from a diverse range of charities and community groups across Islington, to share knowledge and ensure all Islington residents can access high-quality advice services. Having been on IPR’s Management Committee since 2010 and Chair for the last two years, I am now standing down, making this my last Chair’s Report. My involvement with IPR has been hugely fulfilling. I have learnt a lot and it has been great to see the organisation go from strength to strength, despite the challenging funding environment. This has all been due to our dedicated staff, Management Committee members, volunteers, funders and supporters. In particular I would like to thank Gerard Omasta-Milsom for his committed leadership and support throughout my time with IPR. We have a strong team of both staff and Management Committee members, so I feel confident that IPR is in safe hands. With further welfare reforms on the horizon, which will affect some of Islington’s most vulnerable residents, I’m sure our services will be needed more than ever.